This is a Between Sundays article, a weekly article aimed particularly at the church family at Calvary Community Church. While I love every Sunday gathering with the people of God, this last Sunday was particularly powerful. From the moment the service began until the moment it ended, the presence of God was palpable. The text washed over us, with an emphasis on God's divine purpose and plan to rescue the world through the work of his Son. That was the message of John the Baptizer, and Jesus himself: a message of sin, repentance, forgiveness, baptism, and obedient following. And it was their mission to proclaim it to a lost world. Will you, like John the Baptist, prepare the way? Will you, like Jesus and John, align yourself with God's purpose? And, will you, like them, align yourself with the mission of bringing others into a knowledge of that purpose? 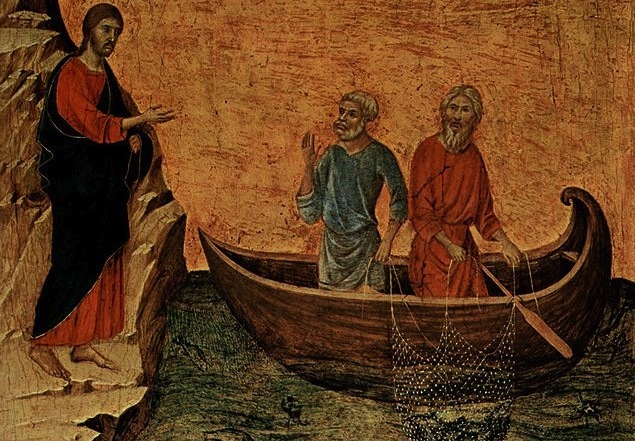 While it is not easy, it is simple: We must follow Jesus, as disciples, by making more disciples. And if we don't, we are not healthy, obedient disciples. Goodness, if we don't, we may not even be disciples. This book represents an admittedly feeble attempt to address a malady in contemporary Christianity. While multitudes of men and women often loosely and many times falsely claim to be Christians, I have sought to explore what it actually means to follow Jesus. Becoming a Christian involves responding to the gracious invitation of God in Christ, and being a Christian involves leaving behind superficial religion for supernatural regeneration. As we follow Christ, he transforms our minds, our desires, our wills, our relationships, and our ultimate reason for living. Every disciple of Jesus exists to make disciples of Jesus, here and among every people group on the planet. There are no spectators. We are all born to reproduce. So are you reproducing? How will I share God's love as a witness in the world? How will I show God's love as a member of a church? How will I spread God's glory among all peoples? How will I make a disciple makers among a few people? I believe each and every part of this plan is really helpful for being a fruitful follower of Jesus. But I'd like you to direct your attention to number three (where we focused this last Sunday). Ask yourself: Who will I witness to?, How will I witness to them?, and When will I witness to them? What are the specifics for how you will accomplish the mission Jesus has given us? Platt's book, Follow Me, has been forcing me to wrestle with these and other questions. The result has been a new energy and passion to share the beauty of my Savior and King with the lost people that surround me every day. Because of the hundreds that attend and visit our church, I know that I can't personally visit every home of every person (at least not quickly). But through the book, Platt and this challenge from Jesus could. That's why, on Sunday, I blurted out in a flourish of excitement that I wished we could get a copy of Platt's book in the hands of the everyone in our church. Well, God was and is moving wonderfully in our church family in these days. While we responded at the end of the service to God's preached word, singing The Revelation Song, someone came up and tapped me on the shoulder. With a look of conviction he told me he would supply 100 copies of Follow Me to our church family, and he then quietly walked away. In a follow-up email, he communicated his great joy at how the Spirit is moving, challenging, and leading us. Friends, I won't pretend to know the mind of God in the particulars of how he may bless us in the days ahead. But I am confident of this - he wants us to share the message of his Son. And if we will give ourselves with reckless abandon to that mission, and live in a way that we have to depend on the Spirit, he will bless, for that is his will for our lives. I am praying for revival in our church. I am praying for revival in our community. I am praying that hundreds of lost people will stream into the kingdom of Jesus Christ because of our bold witness. Would you pray with me? 42 And they devoted themselves to the apostles’ teaching and the fellowship, to the breaking of bread and the prayers. 43 And awe came upon every soul, and many wonders and signs were being done through the apostles. 44 And all who believed were together and had all things in common. 45 And they were selling their possessions and belongings and distributing the proceeds to all, as any had need. 46 And day by day, attending the temple together and breaking bread in their homes, they received their food with glad and generous hearts, 47 praising God and having favor with all the people.